Safesmart’s sister company Trafalgar Fire provides fire alarm maintenance and servicing to customers to help ensure they are always kept in top shape. A reliable call-out service is available 24/7 and 365 days per year to cover all possible emergencies. All services are performed in accordance with the relevant British Codes of Practice by fully trained and qualified technicians who are all additionally DBS registered. Regular maintenance of your fire alarm system is a legal requirement in order to comply with The Regulatory Reform (Fire Safety) Order 2005 and, if necessary, the Fire Scotland Act 2005/6. It will also give you and your employees assurance that your fire alarm equipment will work as needed in the event of a fire. Our fire alarm maintenance in addition to your regular weekly tests is also compliance with British Standards BS5839. Other benefits of a regular fire alarm servicing include maximising the components’ lifespans and also minimising false alarms. Trafalgar Fire also provide servicing and maintenance for fire extinguishers, fire doors and emergency lights. 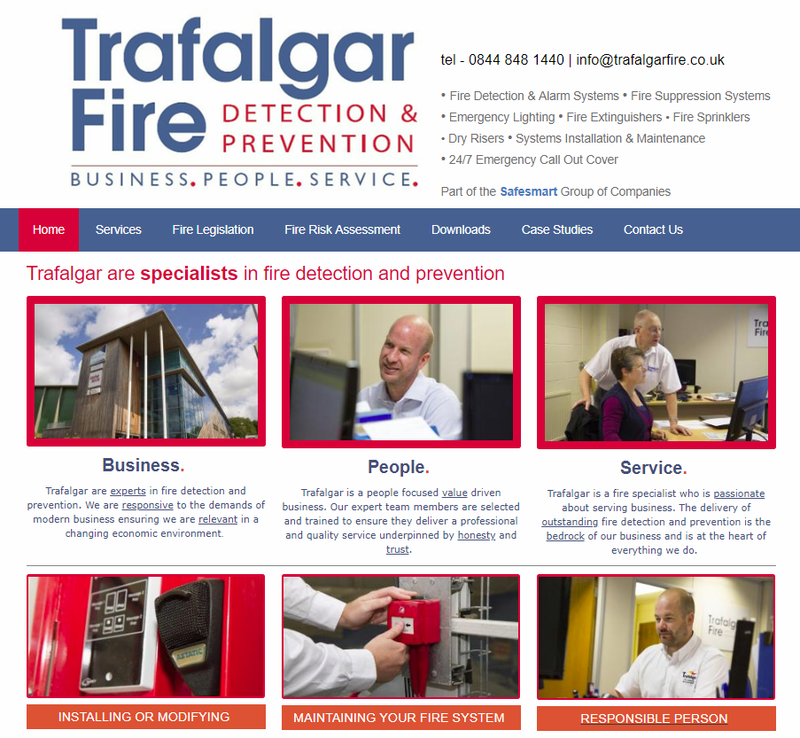 To make an enquiry directly to Trafalgar Fire, click here.